Is there a better alternative to EP Calipers? Is EP Calipers really the best app in Science category? 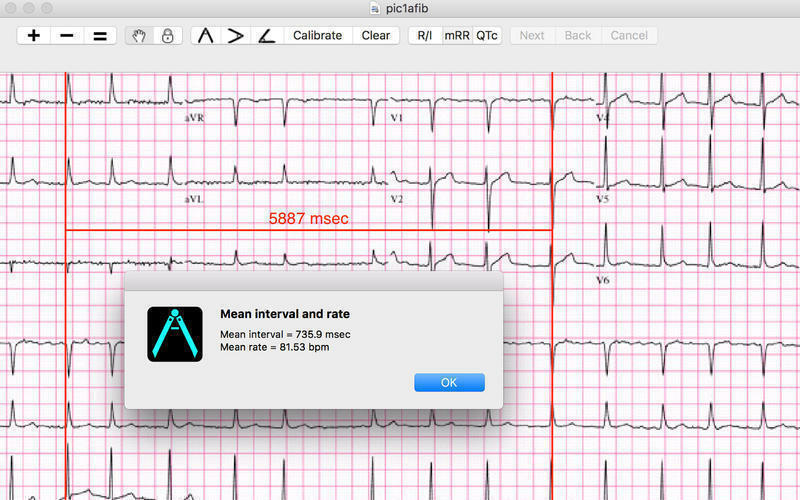 Will EP Calipers work good on macOS 10.13.4? 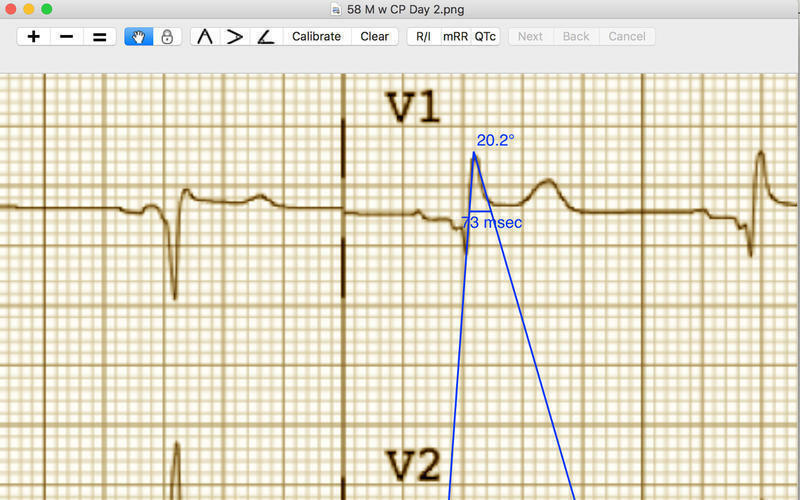 Fix rounding issue when using Brugada triangle base with calibration in seconds. EP Calipers needs a review. Be the first to review this app and get the discussion started! EP Calipers needs a rating. Be the first to rate this app and get the discussion started! 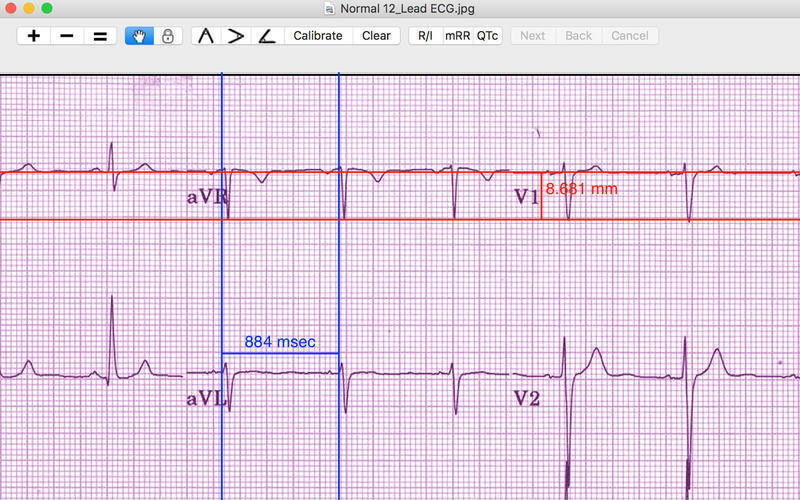 EP Calipers provides electronic calipers to measure intervals on images of ECGs or electrophysiologic recordings. 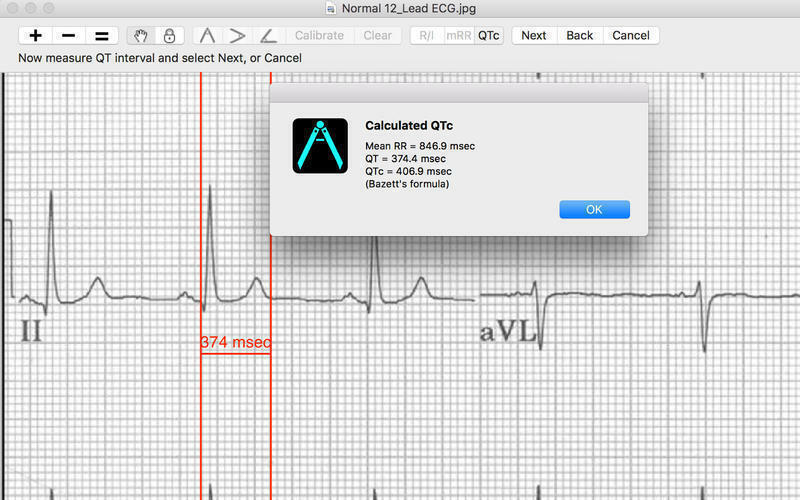 Today's ECGs are frequently digital, and often doctors, nurses, and medical technicians send ECG images to each other via email and messaging. It is difficult and inaccurate to make measurements on these images using mechanical calipers. EP Calipers can be used to make accurate ECG measurements, and to do calculations such as mean heart rate, corrected QT interval, or even measure the beta angle in Brugada syndrome using electronic calipers similar to those in electrophysiologic recording systems. 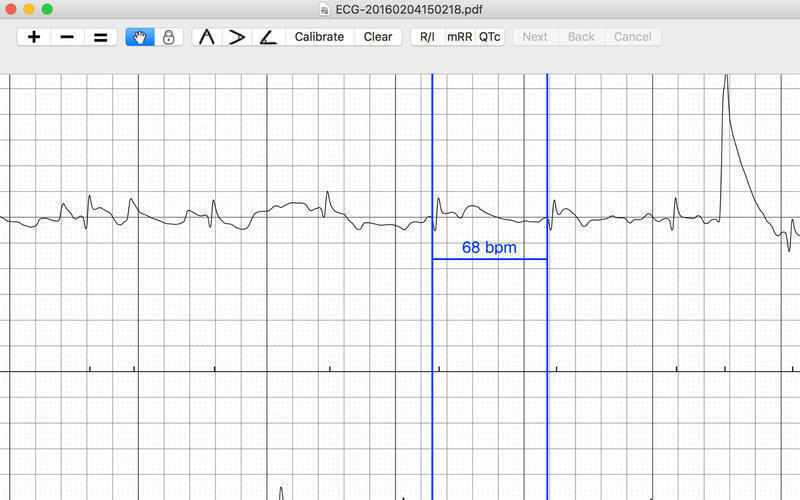 Analyze ECG images as well as PDF files, such as ECGs generated by the Kardia AliveCor device. Analyze anything open on your desktop using the new transparent-window feature.